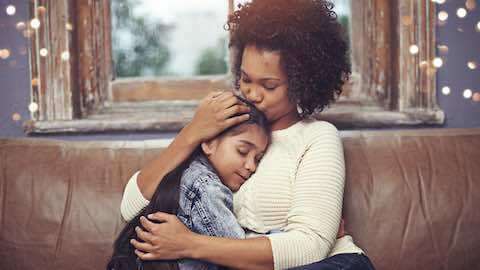 (Family Features) As one example, sharing a hug with a loved one has been found to boost immune system responses, help fight disease and increase overall health, according to an article published by “The Guardian.” Hugs increase serotonin, which is the body’s natural antidepressant, can be a natural sleep aid and help reduce stress and anxiety. Avoid superficial hugs or giving a hug just out of habit. Once you are in the hug, pause for a moment and breathe. Just one breath. This is where you have the chance to squeeze a little longer. Go ahead and be a little vulnerable. In the moment, remember who you are hugging and why you are hugging him or her. This is a moment when the healing power of the hug can shine through, and a hug or squeeze is a sign of affection and trust. Be sensitive to the movements of the person you are hugging and be willing to be the first to let go. Leave the embrace with a smile on your face, even in the hardest moments of life. Always let the person you are letting go of know you are happy. Parenting: "Hug More, Stress Less"